The child tells what he got for Christmas, the mature man tells how he spent the day; the immature hunter tells how many birds he shot, the mature gunner tells of the experience. If I can impart a sense of gunning values through my writing, I urge the gunner at any age to lift himself above the childish state of mind, thinking only of himself and not what he is doing to the birds. 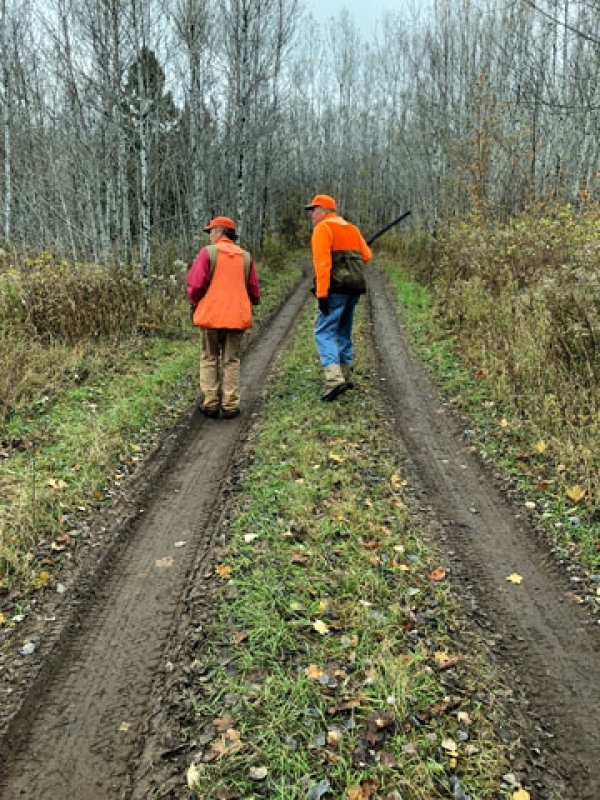 A much-welcomed late September Canadian cold front pushed out opening week temps in the 80s from my Northern Minnesota ruffed grouse hunting haunts. 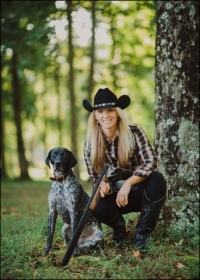 Temps were now in the 50s and soon my springer Hunter and I hit the road for our first grouse hunt of the year. When a tree falls in the forest, and no one is around to hear it, does it make a sound? The answer is “Yes the wolf hears it.” The wolf’s direct descendant, the dog, shares the wolf’s very sensitive hearing. According to the sparse research available, the dog’s hearing is four times more sensitive than man’s. I set out quail hunting with David Lanier at Carr Farms in the plantation belt around his hometown of Albany, Georgia. He’s an affable guy with your average mid-50s paunch and a friendly clean-shaven face shaded by the brim of a blaze ball cap. The brush pants, frayed at the hems, bunched up at the buckled wingshooter boots scuffed and rough, his forest-green hunting shirt nicely ironed and the pouches of his vest swollen with gear (he always hunts with a camera). The first thing we saw, through the mist and fog, were dark shapes on the hillside. In scattered bunches they huddled together, at rest, while others fed around them. A relic of a time when wild bison roamed across the great prairie with no fences to stop them. The West Highland White Terrier cast back and forth around the broomstraw and Johnson grass. It caught a whiff of scent and moved rapidly in a manner customary with all short-legged dogs. That Westie smelled a covey of quail as I do a morning plate of biscuits and gravy and he was looking for a way in. A gust of wind must have pushed the scent around for suddenly the pup found the entrance to a maize. In an instant it zig zagged to the covey and the birds busted every which way into the air. His owner, the noted sporting artist Gordon Allen, took a crosser. The Westie is now immortalized in a line drawing and might reappear in an oil painting or in an etching. There is no greater event for a bird hunter than this year’s Pheasant Fest and Quail Classic that took place February 16-18 in Sioux Falls, South Dakota. The annual convention is a large educational and entertainment attraction organized by Pheasants Forever and Quail Forever, which are dedicated to the conservation of pheasants, quail and other wildlife through habitat improvements, public awareness, education and land management policies and programs. 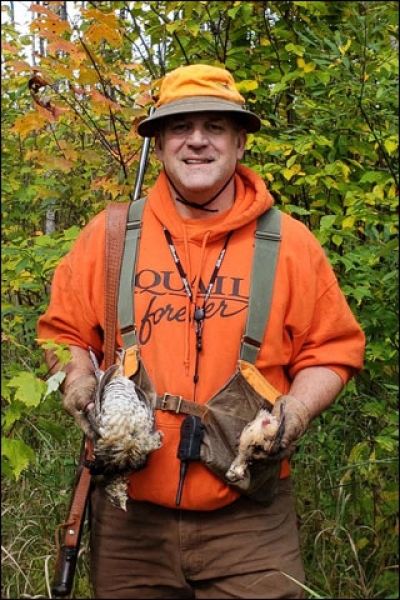 There are hunting seasons for greater prairie chickens and sharptailed grouse in several states. However, among all the locations where both species are found, I know of only one outfitter that hunts from horseback. 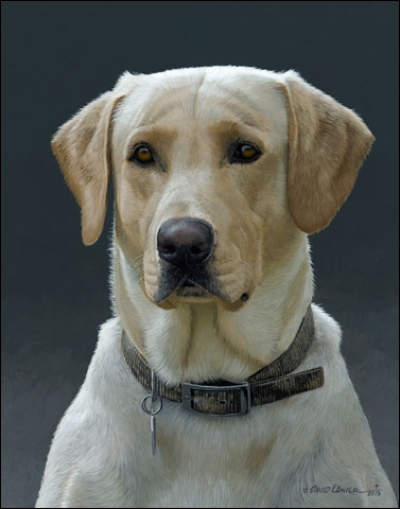 That outfitter is Bob Tinker of Tinker Kennels and Horsefeathers Lodge near Pierre, South Dakota. This past September I spent several days hunting on the more than 100,000 acres of private lands that Tinker has leased. 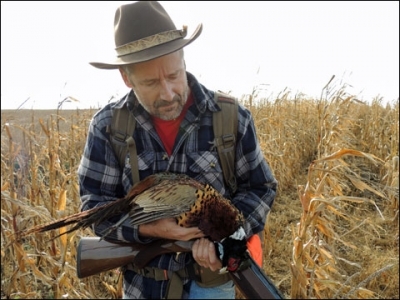 He concentrates his efforts on prairie chickens and sharptails and while South Dakota is known for pheasants, he leaves them to other outfitters. As another hunting season comes to a close, shooters typically reflect back on the memories, and assess the season: What went right, what went wrong, and how to improve things for the next season. 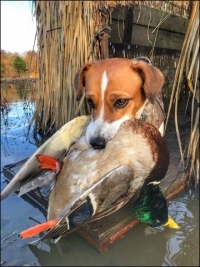 If you hunt with your own dog, that usually means assessing your “partners” performance. More specific, what you would like to improve. 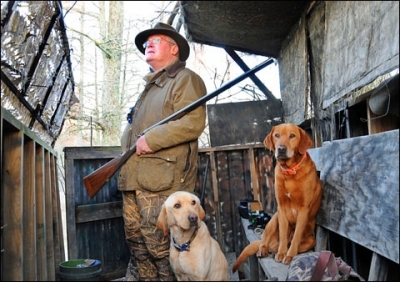 For some hunters, the post-season reflection confirms their dog’s old age has finally indicated the time to start looking for succession. To the locals one of the best-known features of Buck Mountain is the listening rocks, an outcrop of granite on the end of what we call Rocky Ridge. I call the rocks The Old Man because if you look at them from the right angle, you can see the old man’s face. He is the guardian of the Hell Hole and here is where our story begins. Spring shotgun hunting is almost an oxymoron. Snow geese in the cold, wet, Dakota wind is one wild, sometimes productive option. Even better is shooting 20 ducks in a morning, a half dozen upland birds at midday and a few hundred doves and pigeons in the evening — without the cold and wind. You can do that in the spring − in Argentina. 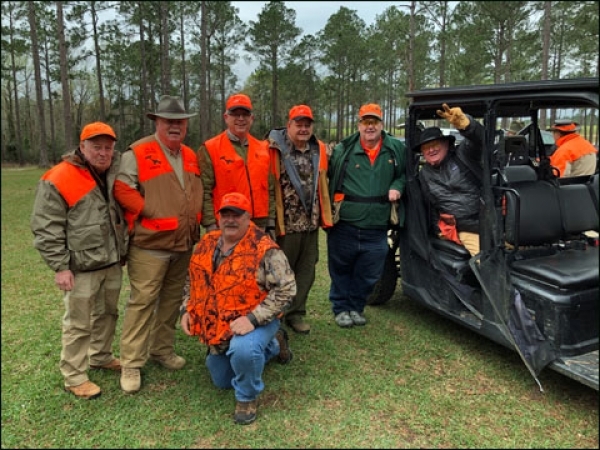 This cutover cornfield hunt in rural Orangeburg County, South Carolina could take place just about any agricultural area. The Canada goose population continues to increase everywhere, which results in liberal bag limits for wingshooters. Goose hunters have to spend time scouting the field before any sunrise hunting plans can be executed, and while there is no guarantee that shots will be fired, it helps to know that if conditions cooperate then a box or two of shotgun shells is warranted. Rather than hunt alone, the Old Duck Hunter said he needed “a good pair of eyes” to share his blind on this cold December day. Almost as if by feel, he maneuvered the ancient, battered aluminum boat through dark winding channels. His mind’s eye remembered these familiar twists, snags and channels after 70 years of running this backwater. These eyes dodged trees that weren’t even growing when he hunted this swamp as a child. Ahead, something lifted from the water with whistling squeals.